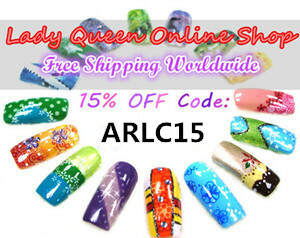 Spring is always a bright time of new beginnings and of course all beauty companies release new nail colours. 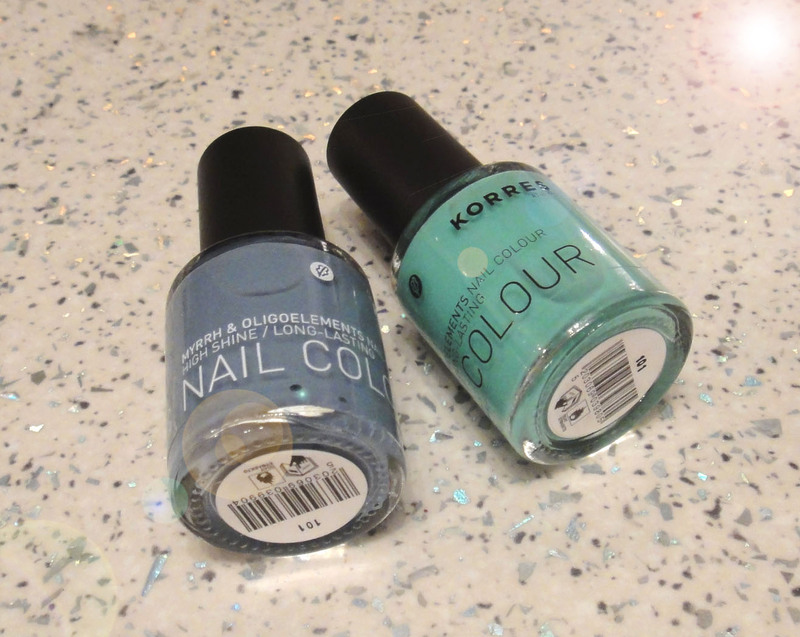 Korres is of course no exception, as they have released a whole new range of bright nail polishes. As I passed by a Korres flagship store the other day I decided to pick up a couple of the new beauties to show you. There were two colours that caught my eye at once, Blue Sky and Vert Amande. The two colours work really well together so I decided on a combined manicure with both of them. I used a base coat and then two coats of each on different nails. Unfortunately the formula wasn't very easy to work with as it was very runny and the first coat looked absolutely horrible. With careful application and a second coat though everything looked perfect. I didn't add any top coat as the nail polishes are quite shiny on their own. Have you tried the new Korres nail polishes yet? What do you think of them? I dont think I have access to these but I love the green one! I love Korres line. And haven't tried them but look forward to doing so in the future. Excellent colors. 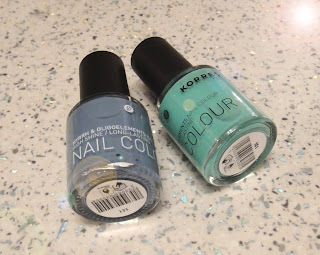 I haven't tried Korres polishes yet but the amazing-looking new colours are so tempting! blue sky is pretty!! never heard of it before but i would love to try out!